Picturesque urban farm with every amenity you can dream of. Large, well maintained charming home full of light. Master on main: fully renovated bath. Perfectly styled custom fireside kitchen. Finished entertaining terrace with guest suite. Geothermal HVAC. 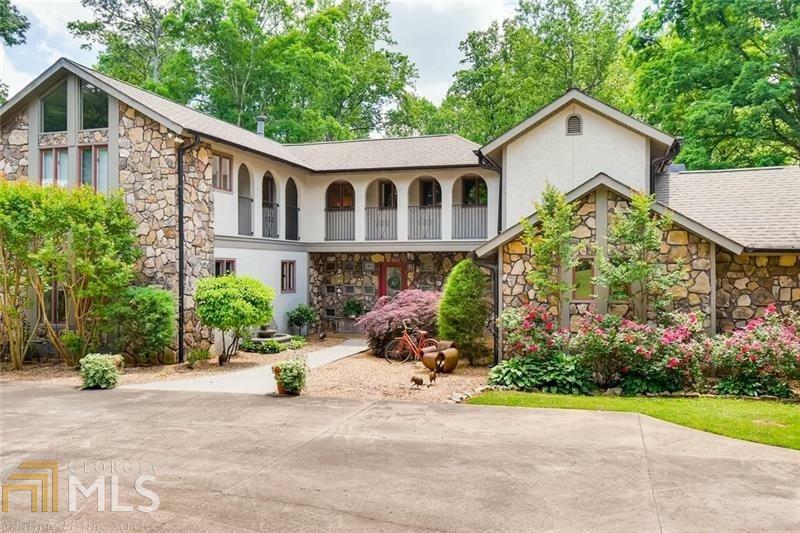 6.33 acres of gorgeous pastures highlighted by mature hardwoods, bordered by creek. Backyard play land with Trex decking, pool, hot tub, fire pit, treehouse. 3 stall barn with electric/water. Chicken house. 4 car detached garage ready to be converted to guest house. RV parking with full hookups. Highly rated schools. Directions: From The Intersection Of Hwy 140 And E. Cherokee Dr In Hickory Flat, Head North On Ec. Cherokee Dr. Driveway Is On The Right. Follow Drive Back To Last House On The Right.